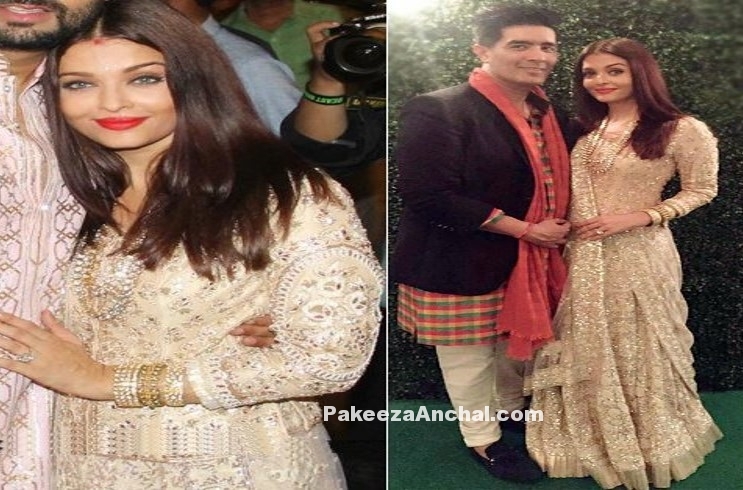 With Sparkling Diwali festival of lights, Former Miss World Aishwarya Rai was seen in a Golden and Cream Lehenga along with full sleeved Choli by Manish Malhotra. 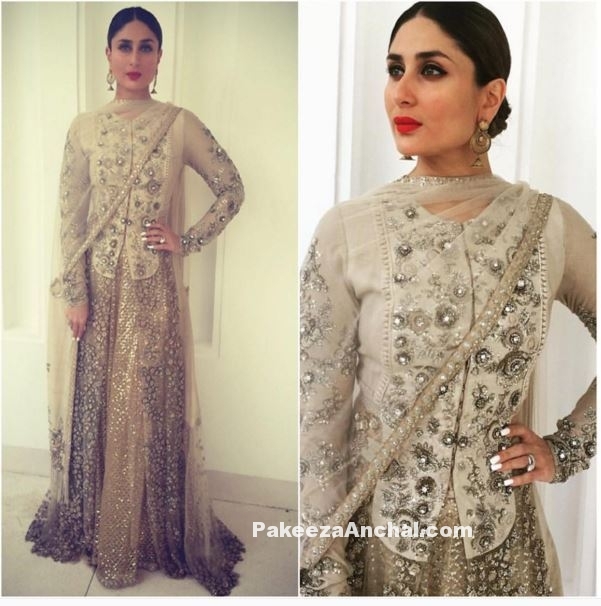 She was ensemble in this beautiful outfit embellished with thread-work with red lips and pearl Jewelry. 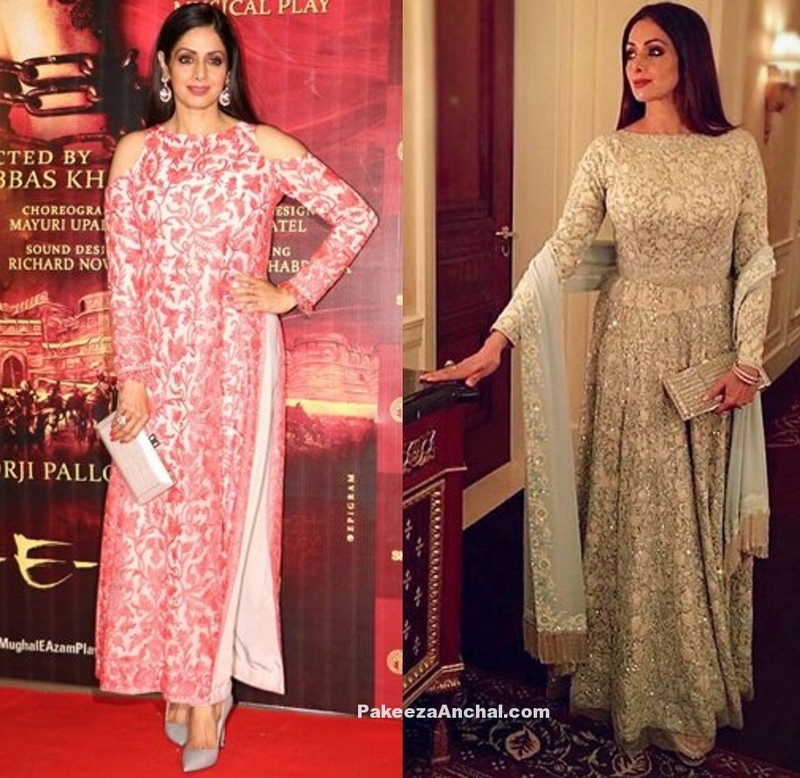 Karishma Kapoor was looking cool in white gown with floral design showing her back in Manish Malhotra. The outfit had a cut-out on shoulders with red roses across the the neck,waist bottom. Karishma Kapoor styled her hairs in bun style with white ear tops.